While design director of Tribeca Enterprises, I was tasked with redesigning the Tribeca website. 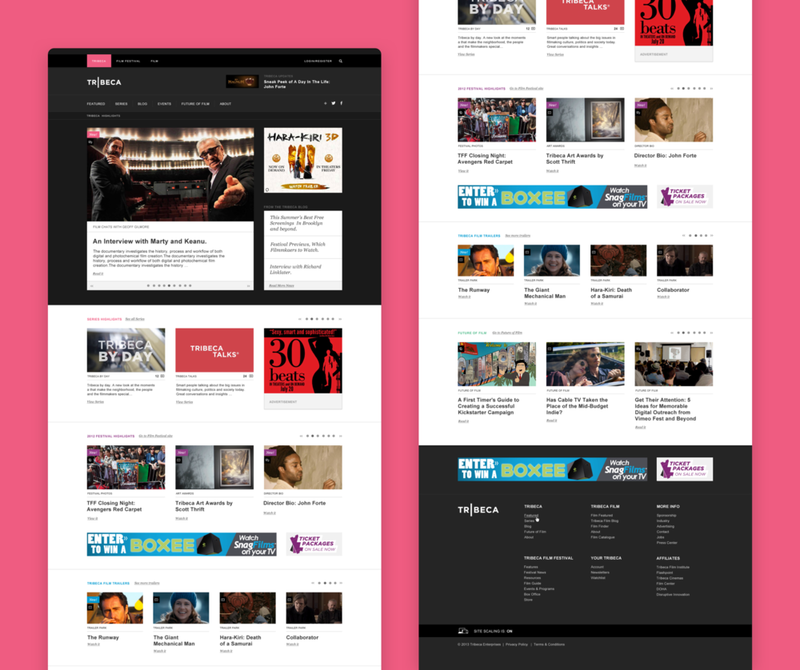 The goals for the re-design included uniting multiple separate sites under one navigation, structure, and design as well as re-focusing the site around the sponsored content initiative that Tribeca was pursuing at the time. 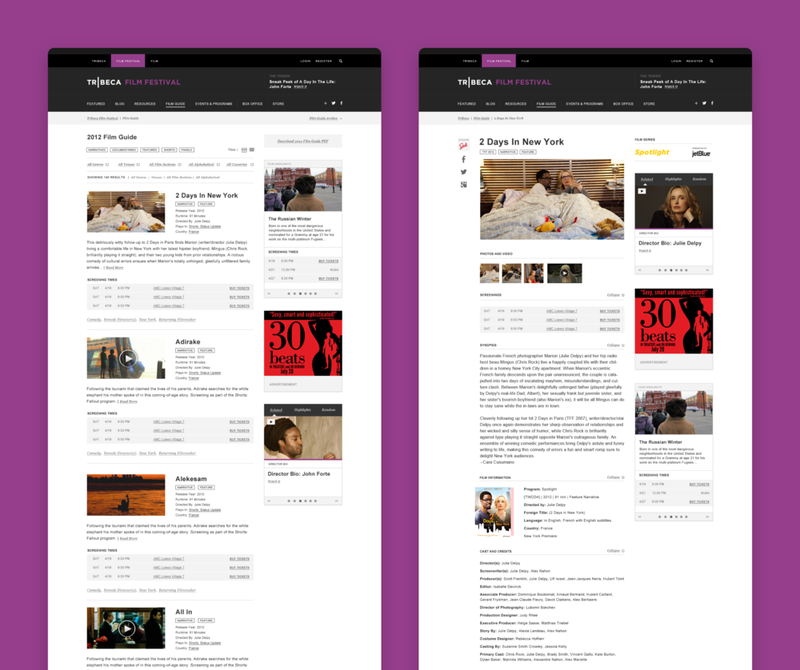 I worked closely with the various stake-holders of Tribeca's film festival, film distribution company, and sponsorship teams to design a site that met their needs and increased advertising and sponsorship revenue opportunities. We designed, built, and launched the site in-house over the summer and fall of 2012 in time for the 2013 Tribeca Film Festival.